In Episode 1 of the new season of The Amazing Race, teams left New York City and flew to the Virgin Islands and the island of St. Thomas. 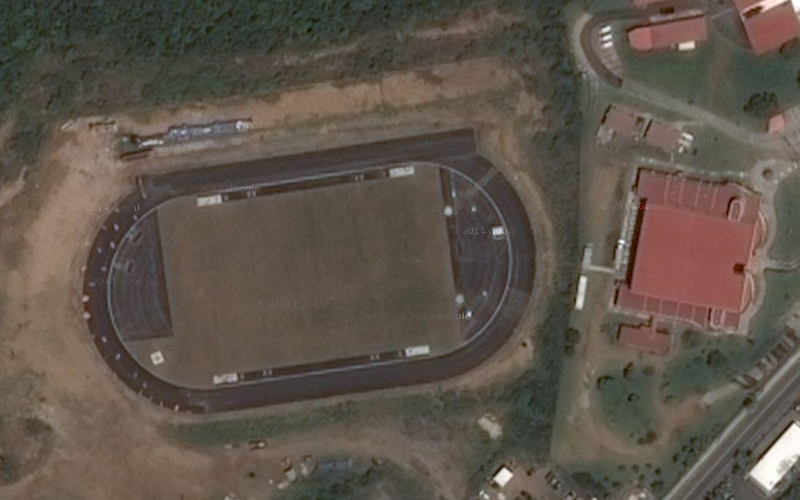 The track today is new, having been installed something within the past couple of years, and is found at Ivanna Eudora Kean High School at the far eastern end of the island. In the Google satellite photo, it looks like the lines hadn’t been painted yet, but on Bing, the track isn’t even there yet. From what I can tell, this is one of two tracks on St. Thomas. The other is found at Charlotte Amalie High School, and is in really rough shape.